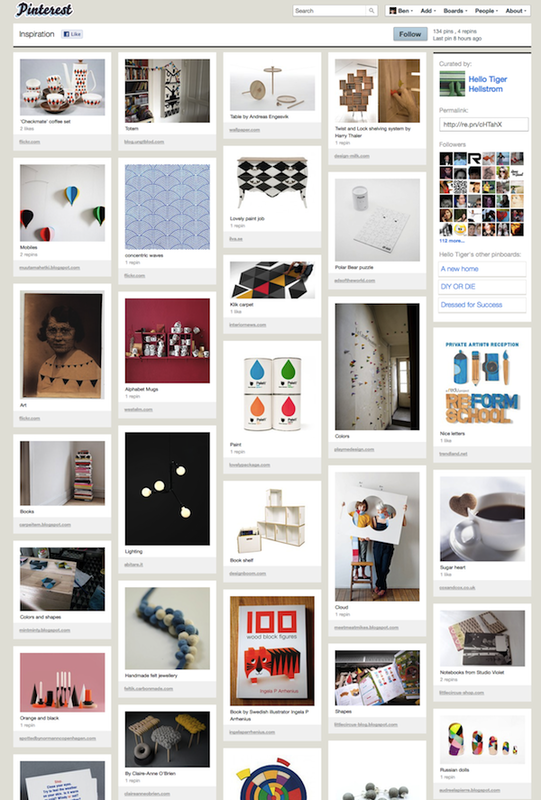 Design Plus You: Pinterest - My New Love! 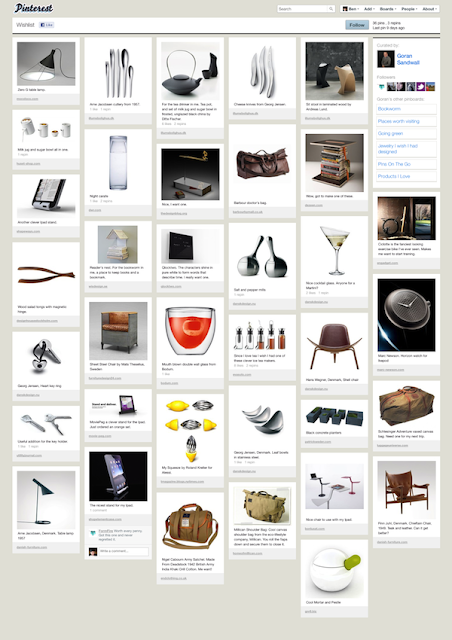 While doing some searches online, I recently came across an amazing site called Pinterest. This website enables you to upload favorite images and create your own virtual bulletin board. 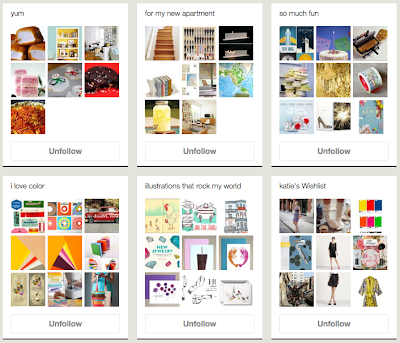 It also allows you to follow other people's boards with similar or inspiring styles. This is a great idea for anyone who is looking to catalogue images for particular projects. For instance if you are redoing a bathroom, post inspirational images of tile, paint colors, and hardware that you like so that you can refer to them online. This frees up space on your computer, and also helps you view them all together without printing or creating a collage in Photoshop. Beware however, it can be a big time killer. I'm embarrassed to say that I go to the site looking for one thing and end up distracted for hours by the limitless eye candy they have posted. Whether you are looking for photos of travel destinations, food, wedding ideas, or furniture this site is a wonderful resource and certainly worth a look! Or just products...You decide what you want to view. Here is an example of the separate boards you can create.